Golmaal Again team booted the one day Movie Mela festival of Jio MAMI 19th Mumbai Film Festival with Star. The action-comedy franchise fame director Rohit Shetty marked his presence in the panel along with the Golmaal's iconic team. Anupama Chopra and Rajeev Masand were in conversation with the first panel. On being asked about what motivated Rohit Shetty to make sequels building a mega franchise, he said “It was not planned or deliberate. It connected with the audience, especially the characters and the moments of the film. These were the things that remained with the audience after having watched the film.” Ajay Devgn, being a part of this series since its inception, said “It makes me feel confident. I know this team will have my back”. Parineeti Chopra's biggest takeaway was to have found friends for life during the shoot. In the second session, the versatile music directors Vishal-Shekhar were invited to the panel to share with Anupama and Rajeev the stories, the journey, the anecdotes and the unpredictable, intuitive process behind their top five songs which are Tu Aashiqui Hai, Allah Ke Bande, Aankhon Mein Teri, Chammak Challo and Nashe Si Chadh Gayi. They also rocked a few stanzas and tunes of the songs requested by young film enthusiasts present in Tulip Star, Juhu. On being asked about them working together for so long, the musical duo said “It’s been 18 years now. We remember just meeting and sharing our work and then just deciding to get on board together”. 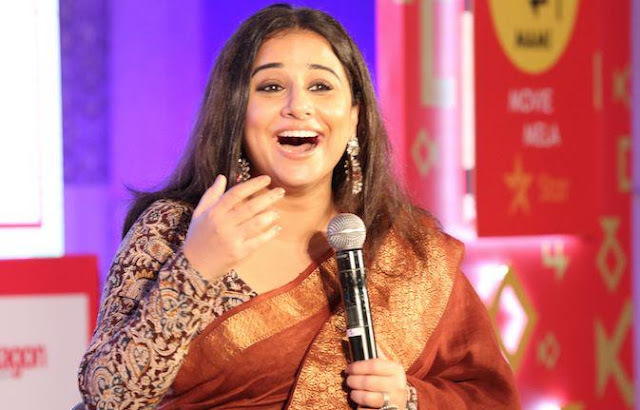 Vidya Balan was the panelist in third session of Movie Mela. She discussed the characters which were her favorite, and which had left the most lasting impression upon her as an actor as well as a person. During the long, nostalgic recollections of her first and then subsequent experiences of watching her favorite performances Vidya Balan often found herself searching for words, such was the influence of those powerful characters that the emotions resurfaced as soon as she saw the clips of her favorite performances with the audience on the big screen. 1. Anand (Anand)- The character is seen as a ray of hope and is symbolism of optimism which she feels has diminished in recent times. 2. Thakur (Sholay)- Balan used to fool around the sets of Ishqiya draped in a cover and imitating Sanjeev Kumar where she would be told by her co-stars that she exactly sounded like him. 3. Sunil (Kabhi Haan Kabhi Naa)- “It is the ultimate example of how one wants to root for their hero despite all its flaws” she said. 4. Seema (Mr. India)- “The Charlie Chaplin scene that Sridevi pulled off with such a finesse could not have been done by anyone but her” she said. 5. Pooja (Arth)- Shabana Azmi was vocal through her acting enough to not let words pave way. Vidya Balan also spoke candidly about the character of Silk Smitha which she played in the semi-biographical film "The Dirty Picture" on the life of the same. Vidya expressed that she had gone in a completely different zone during the shoot, and to see the clips today makes her wonder. Vidya played a character far removed from her actual person and the charcter demanded her to throw her 'self' away and immerse her body into the dynamics of the character in order to do any justice. The fourth session was a director's special Masterclass. Kabir Khan, Ayan Mukerji, Nitesh Tewari, Alankrita Srivastava and Anurag Kashyap shared their “Setiquettes” and individual experiences of filmmaking process. The panel discussed their intricate styles and moral approaches with the film enthusiasts in the audience. In the closing session of MAMI Movie Mela Karan Johar gave the hosts Anupama and Rajeev time to rest after their heavy workload in the preceding four sessions. Karan Johar was joined in the panel by Alia Bhatt and Ranbir Kapoor, arguably the youth icons of current generation.